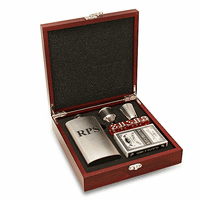 FEATURES/SPECS Impress your friends next time they come over for a game of poker with this distinctive personalized rosewood finish poker set. The case is sleek and sophisticated, and the interior is lined with a plush, midnight black velour. 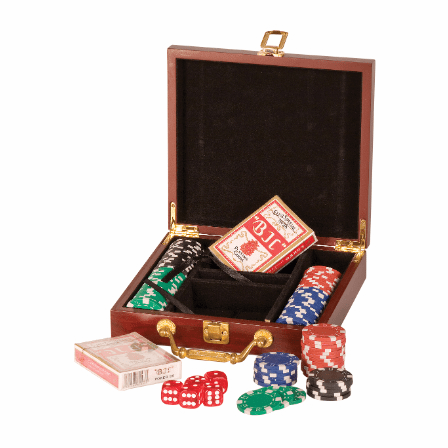 The poker set comes with two decks of cards, a full set of poker chips, and five dice -- everything you need for a night of good-natured competition. 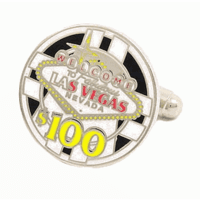 With free laser engraving of three lines on the face of the case, this personalized poker chip set makes an excellent gift for the card shark in your life! Dimensions: 8 1/4 " x 7 1/2" x 2"
The box is tiny. The brass handle was tarnished. And although the box was pretty and the engraving was nice, the box was slightly cracked on the corner. I don't think this purchase was worth the price nor is it a nice enough gift for an executive. Merchant Response:We're so sorry you're unhappy with this item. 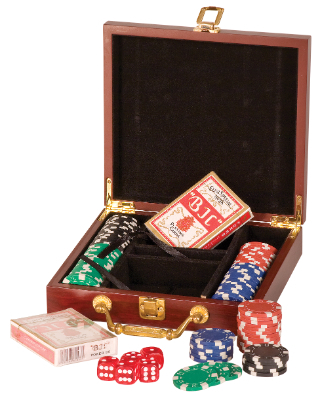 If you'd like, we'd be happy to ship a different product (or an undamaged version of the poker set you ordered) free of charge. 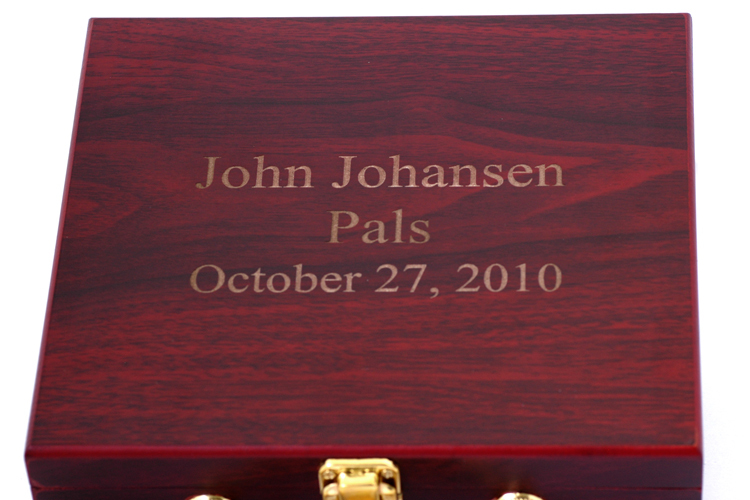 Just email us at help@executivegiftshoppe.com with your email, name or order #.